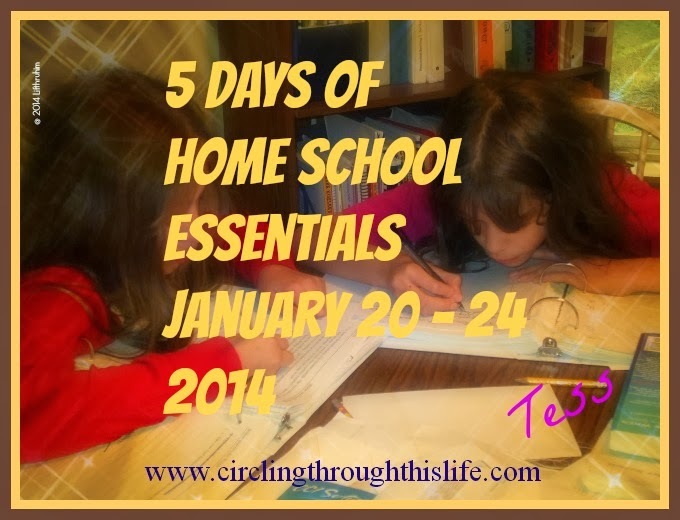 Circling Through This Life: TOS Review: K5 Learning. As a member of the TOS Homeschool Crew, I received a 6 week free trial of K5 Learning, an online learning website. I was given access for 4 students, however, only 1 of my students falls in the grade k-5 range. Before I share our experience with the program, I need to share a bit about Supergirl. She is not a typically developing young lady. (You can read about some of her story on Through the Eyes of A Child blog). She has DiGeorge Syndrome which has associated learning delays and disabilities as well as cognitive issues. With her delays I see all the steps she goes through all stretched out. Typically developing children go through all the same steps but much quicker and it isn’t as noticeable. The Assessments: I found the assessment frustrating. According to the website K5 assesses students based on 8 key math and reading skills. I found the assessment counterintuitive and developmentally out of sync. For example, I found the reading assessment reading comprehension particularly frustrating because I wasn’t sure if my daughter was supposed to read the passage herself or if she was supposed to have it read to her and then answer questions. There were no instructions. The passages were well beyond what she could read herself. She placed below grade level in reading comprehension but I do not believe she was adequately or appropriately assessed for that skill. We started the lessons based on the placement from the assessment but after a few lessons, I realized that she wasn’t placed in appropriate places for her skill levels. Using the K5 program: I do not have the space to detail everything about the program so be sure to check out more reviews at the TOS Homeschool Crew Blog. I’m going to focus on the K5 Math program. In examining the scope and sequence for math, I see an illogical approach that presumes that if a child knows D, she also already knows and grasps A, B, and C. Let me explore this with an example from one of our lessons. K5 approaches place value from the concept of addition. Rather than teaching that the number 72 is comprised of 7 tens and 2 units the program teaches that 70 + 2 = 72. This presumes that the student understands and grasps the concept of addition. Place value is a lower level, foundational skill that teaches counting. A student only needs to count 0-9 and that each place can only hold up to 9 objects. My daughter “gets” this. She is starting to grasp the idea of “addition” which is taking two groups of numbers and making them into one number. She is still trying to learn her basic single digit addition and this presentation of place value confused and frustrated her. Skip counting also has developmental increments. Skip counting by 10’s is usually taught first because it is an easy pattern to learn. Supergirl had skip counting lessons that began with 5’s. This is a more complicated pattern. The student *must* already grasp the 10’s (10, 20, 30, 40) and then apply the pattern (5, 10, 15, 20). After muddling our way through skip counting by 5’s, 10’s and place value we encountered two digit + one digit addition. This was completely inappropriate for her. She hasn’t even learned her single digit addition and she is being asked to add numbers such as 22 + 4 and estimate whether or not is below 25. This requires her to know that 2 + 4 = 6 and to understand that 6 is great than 5 and that 20 + 6 = 26. At this time I decided to ask for another assessment. This is the reply I received: “Unfortunately, our system is a bit rigid and the technology does not allow for us to carry out re-assessments.” I found this disturbing. Assessments should be done periodically to ensure that progress is being made and that the level remains appropriate. 8 skill levels for reading and math is too broad of a scope and presumes that child’s learning and development is linear or equal in all aspects of each skill level. You can see a brief outline of the scope and sequence for math here and for reading here. My Thoughts: I found the K5 Reading and Math to be developmentally inappropriate for Supergirl and a very poor fit for us. The website states that this program works well for special needs, however, those special needs do not include those with cognitive impairments or learning disabilities. I think this program would indeed work well for those with ADD or ADHD. I can see that this would work well for typically developing students who do not have a large gap in skill levels within a discipline. For example, no gaps in understanding place value, counting or addition which are all part of the Numbers and Operations skill area. Also, I believe that this could work well for typically developing children who are at one level in one skill area and another level in another skill area such as being at early 1st grade in geometry but late 2nd grade in vocabulary. But I do not think this is the best choice for students with cognitive impairment or developmental disabilities. We tried the K5 Spelling but she was not ready for it. I believe this would be a good drill/practice program for older students who need the practice. We did however love the K5 Math Facts for learning and drilling math facts. If you are looking for an online supplemental program, please do check out the K5 reviews from my fellow crewmates on the TOS Homeschool Crew Blog. Disclaimer: As a TOS Crew member, I received a six week free trial of K5 Learning free of charge to review. This review is my honest opinion with, hopefully, enough detail as to why I liked or did not like a product so that my readers can make an informed decision. I received no compensation.